AH! He’s popped the question + the wedding plans are underway. Take it from a couple of gals who have been there, done that: you’ll definitely want to create a central online hub for all those wedding details floating around. 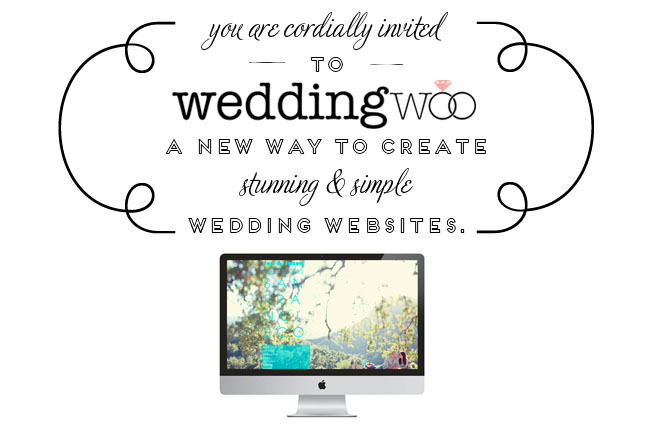 Premium WedSite’s customizable wedding websites are designed for today’s busy + stylish bride and groom. 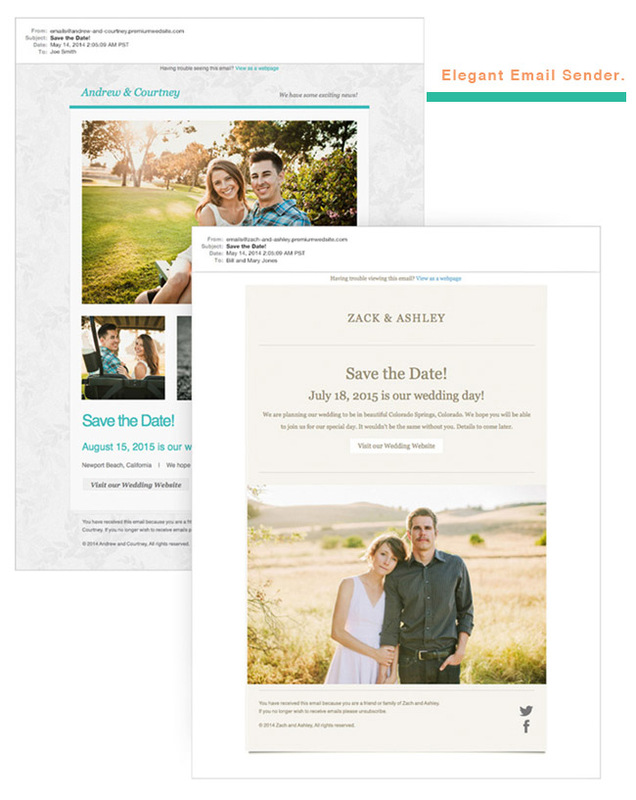 Their beautiful templates include rich feature sets + a modern look. And the best part of all is that they are truly easy + fun to use – for you and your guests! Easily add your photos and text and customize fonts and colors to make the website your own. Your guests will have an easy-to-navigate, central location to RSVP, read your story, meet your wedding party, view photos and link to your gift registries. Sounding pretty great, don’t you think? 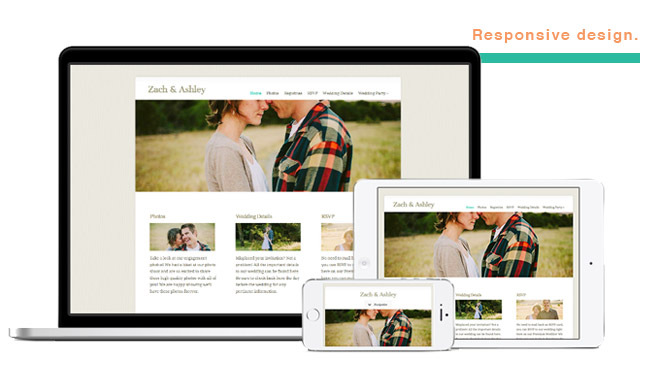 Since we all view so much content on our phones these days, it’s good to know your Premium WedSite wedding website will look beautiful on any device. Each site template is built with modern, responsive design technology that allows the website to adjust the layout automatically to look its best on multiple screen sizes. Showcase your photos with beautiful built-in image galleries, sliders and even carousels. There is plenty of room to share all your engagement, wedding and even honeymoon photos. 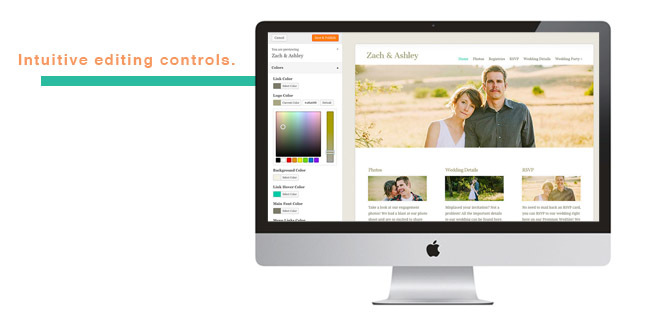 Your friends and family can easily navigate through your customizable photo sections. Optionally import photos directly from social media sites such as Facebook and Instagram. You can even crop, edit and apply filters to your photos right from the admin panel of your website. Love how easy it is! Customize your website further by optionally using your own domain name. Use an existing domain name that you already own, or you can register a domain name right from your Premium WedSite admin panel. And if you prefer to keep your wedding information private, you can restrict access to your website to only those people you choose. Limit access to the entire site or selected pages. You may also choose to have only your RSVP form password protected. 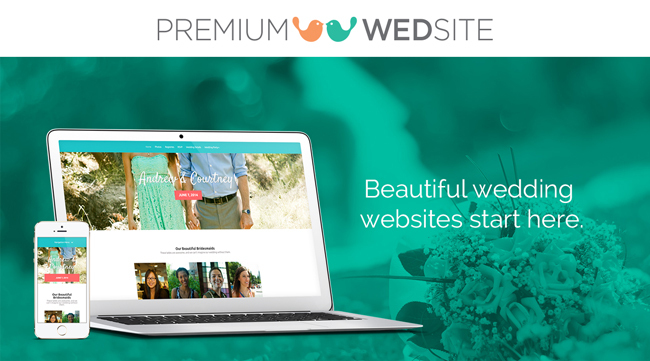 And we’re excited to share that the first 100 couples to sign up with Premium WedSite will receive 50% of their monthly or annual plan! Just enter the code GWSYEAH50 at checkout. 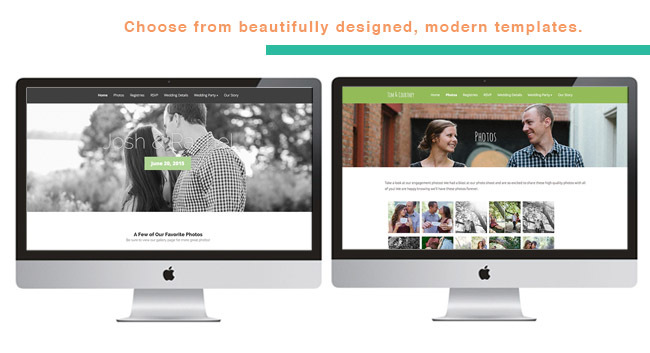 To learn more about how easy it is to create a beautiful wedding website with ease, be sure to visit the Premium WedSite website today! * This post is sponsored by Premium WedSite. Thanks for supporting our sponsors!